I know you should start your seeds early in the house. My problem is the seedlings want get enough light and the cat will eat the plants. I know starting them outside would be wrong as well, but how about this idea. I can build a small hoop house like I use to cover my bed when the weather is severe on the south side of the trailer. It gets warm there. Maybe I could put the trays on some small platforms so they are not on the ground, with maybe a heat pad under the tray. Do y'all think this would be warm enough to grow seeds? Hi Cajun, the most important thing is to not sow the seeds too early in the house. the second most important thing (besides growing medium, heat and water) is adequate light for adequate hours (14-16) a day. I think there are quite a few threads that cover this, some of them from last year, some for the year before, so take a look around the forum. There are a few websites I use when trying to figure when I should sow my seeds. Mini-, portable- hot houses?? DH made these for me out of scrap wood. Lined with 4 ml plastic. I brought them inside when the nights dropped below 40*. 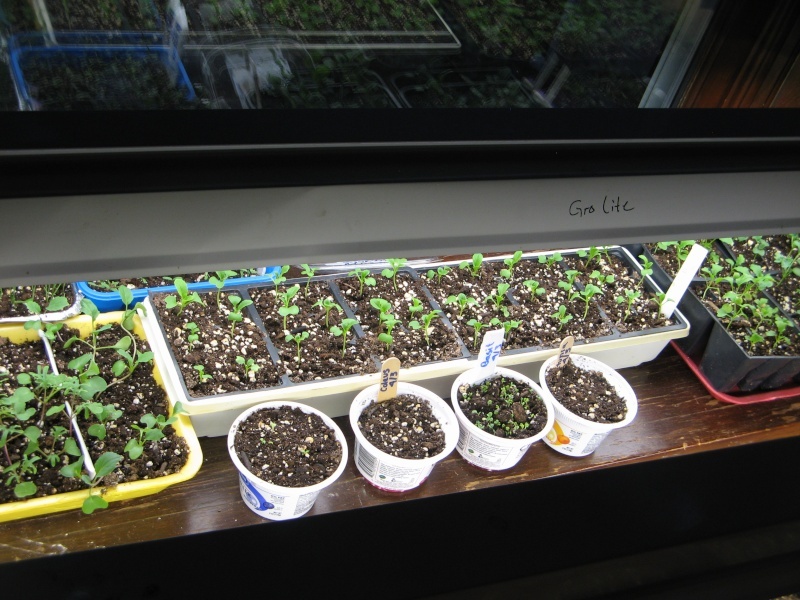 I sowed the seeds Feb 15. 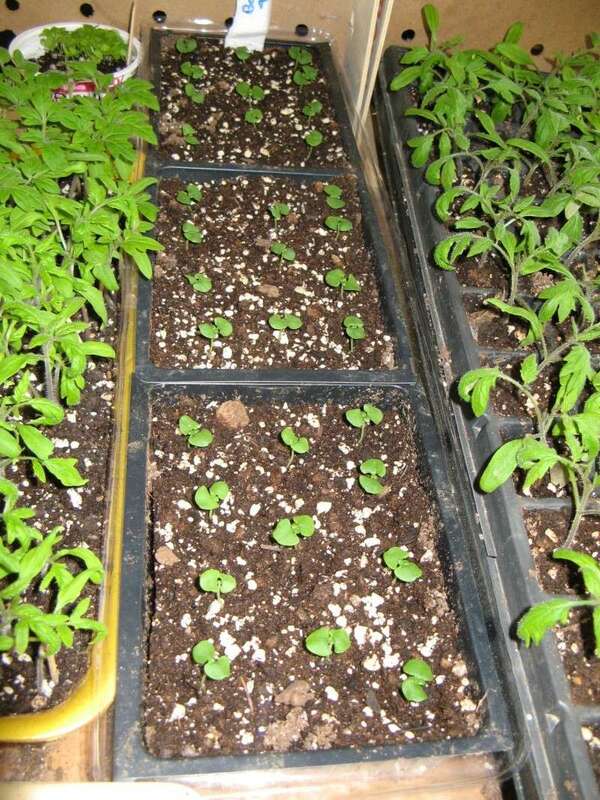 Oh, I forgot to mention, you will only need the heat mat for germination, after that the heat mat should be removed. Nice little hot box sanderson. Those are cool, sanderson. Still not sure how I'll put something together for my own in-house start-ups. @Marc Iverson wrote: Those are cool, sanderson. Still not sure how I'll put something together for my own in-house start-ups. maybe you can get more ideas here. 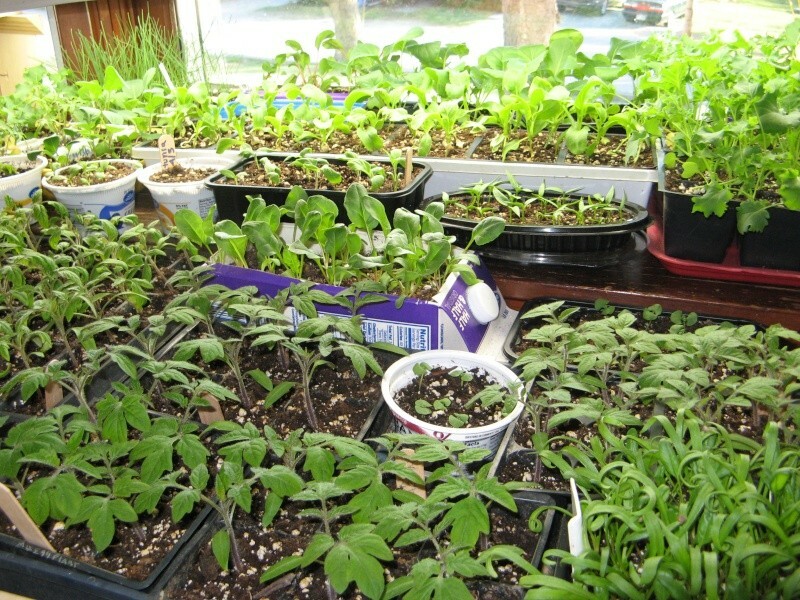 Last winter was my very first try at seed starting, in my opinion it was very successful. Had a few dollars left over from Christmas and picked up a 5 tier shelf kit at Lowes, for $75, added wheels for $25. 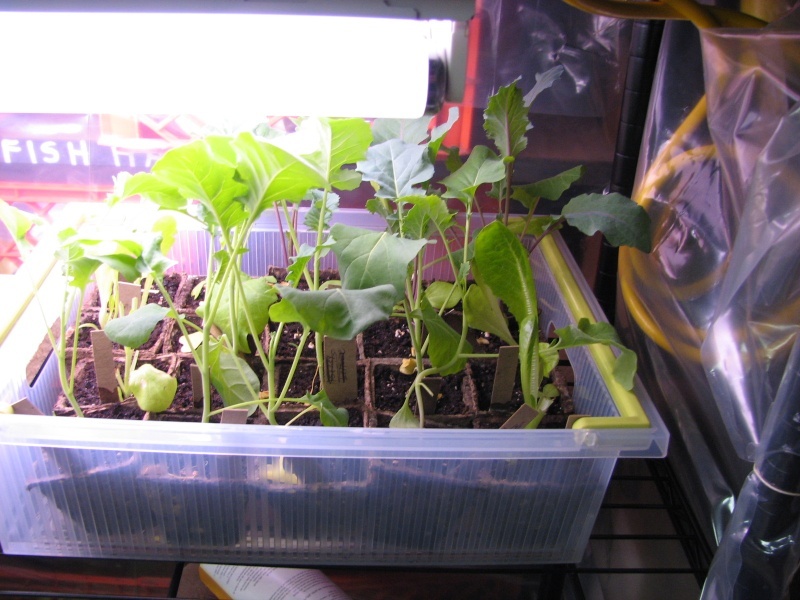 My most happy seeds were in a $3.00 each square plastic plastic 4 inch case with yogurt containers filled with potting soil. 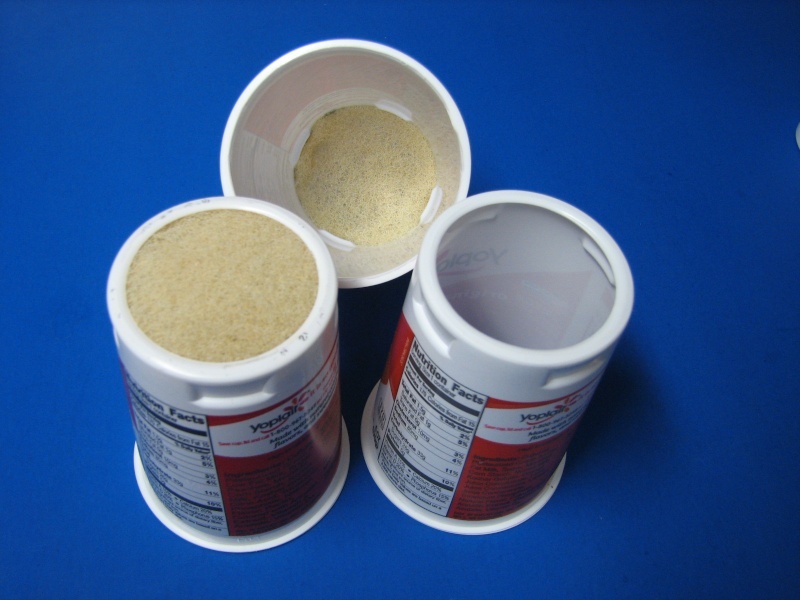 I cut out the large bottom area of these containers, and added a small (cut to fit) round piece of teflon scrubber for drainage , it had a lip perfect for holding the round teflon piece. 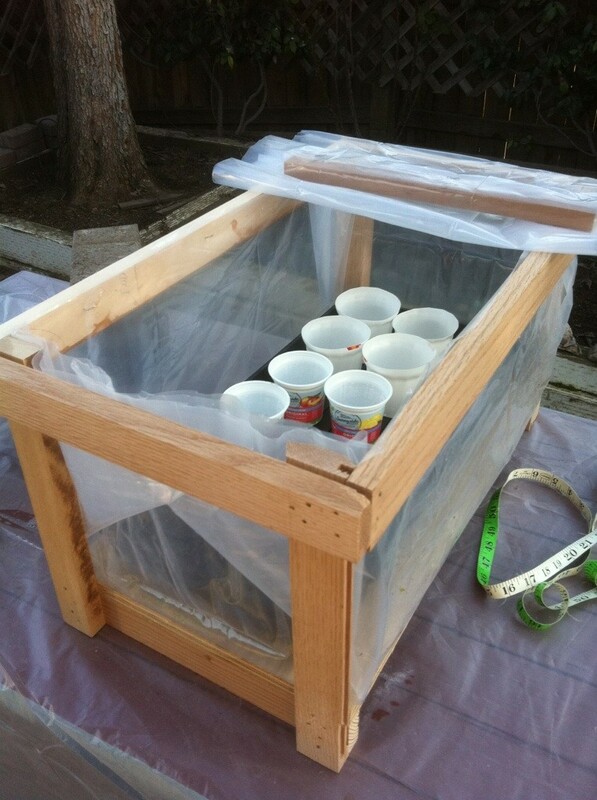 Using the small area for the bottom I filled them all, loaded seeds and watered from the bottom up. 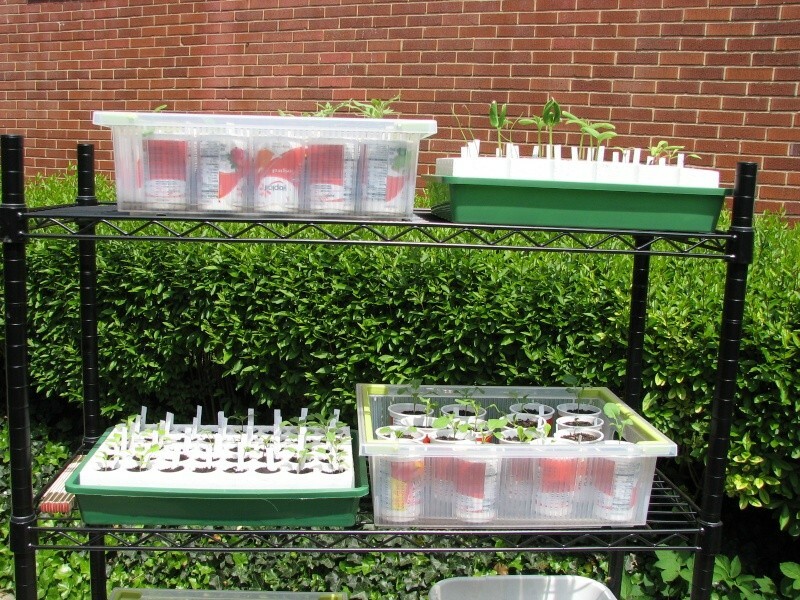 I had a couple other growing containers which were a little pricy,these didn't work as well as my home made units. 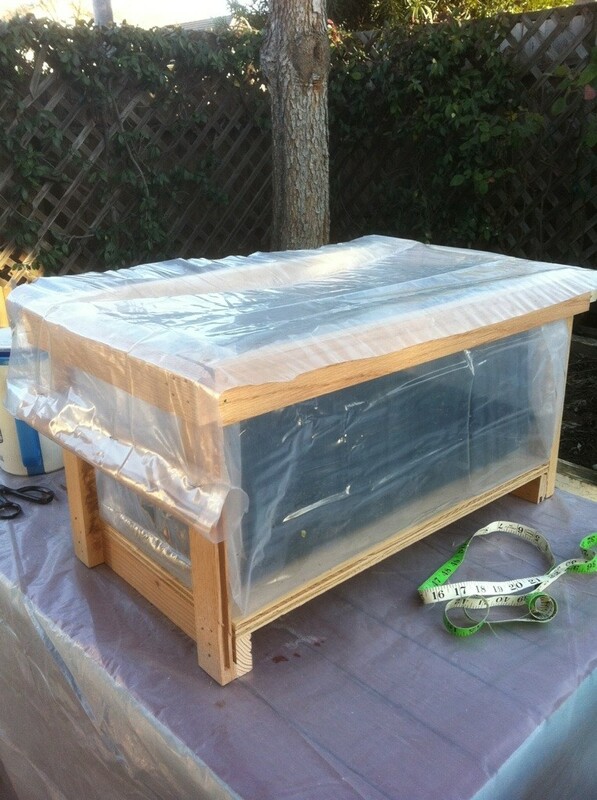 Wrapped the stand in sheet plastic, added a crock pot full of water on low setting on the bottom. Fully enclosed with the crock pot open (no lid)...water temps 130 F and grow lamps on I had a temp of 75 deg F.inside the enclosure. Lots of moisture also, opened it all when seeds came up and were doing well . Starting fall seeds in August, able to move in and out of shade as needed...will continue to do this again. Nice set up Jimmy! 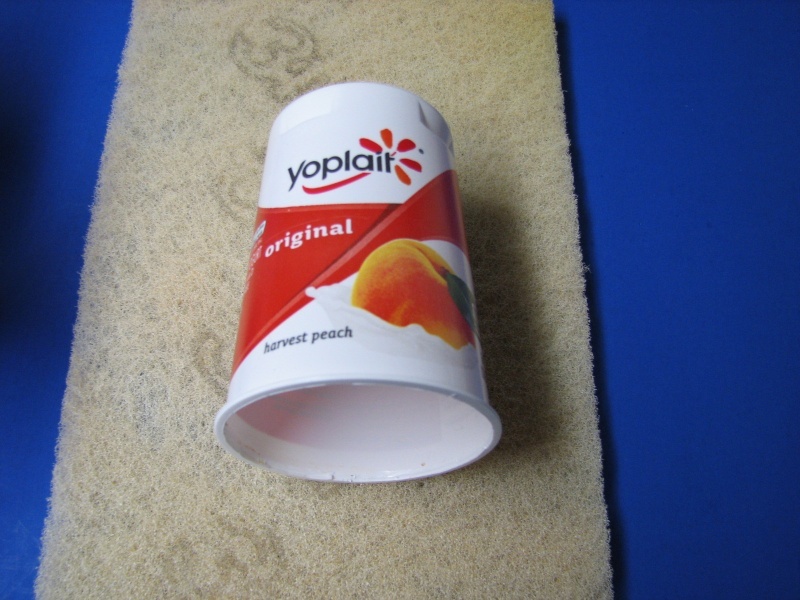 I love the idea of the yougurt cups and scratchpads!! Those look like very clean holes to have been cut with a knife or razor blade. What's the secret? 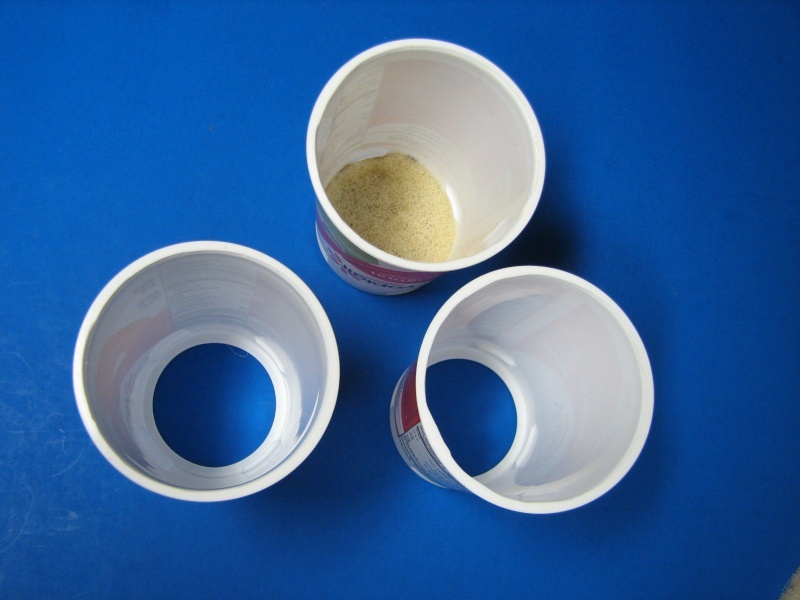 The bottom of the cup is cut out. To do this I use a box cutter with a new blade. cut the molded edge close to the rim. Work the cutter as not to cut through the outer edge. It took me a few tries, however it came quickly. Just be sure caution is taken as the box cutters can cut through a finger or hand like it's butter. Amazing how the yogurt remains in the areas that is removed. Wife loves these yogurts and I love the containers. Another nice feature, I wash them and use them again. Dremmels hobby tool hand grinders /drills make good hole cutters as well Boffer . The auto reminder from Gardenate for Zone 9A arrived today. Oh, man, I need to start seeds in the next few days. Thanks jimmy cee and plantioid, I had been thinking about putting a hole saw on my old Milwaukee Hole Hawg! Overkill? 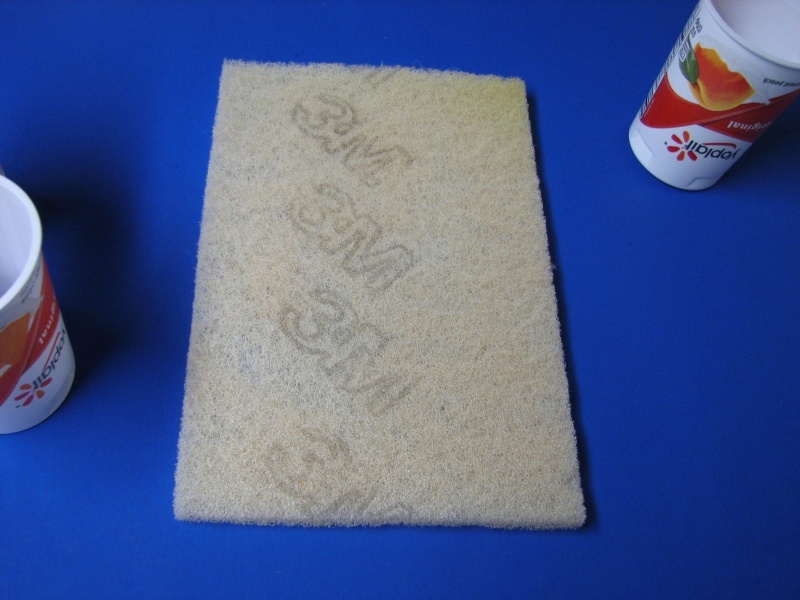 Has anyone ever used a dibble board? Nope, I figure it's just one more thing I can't find when I need it! I'm content to let my fingers do the dimpling! Thanks for all the advise and information. That plastic is so thin a saw will tear it up.. Sounds like a bigger hammer! LOL, box cutter to drill press. You guys are funny! and she thought I was the only one that was like this.. 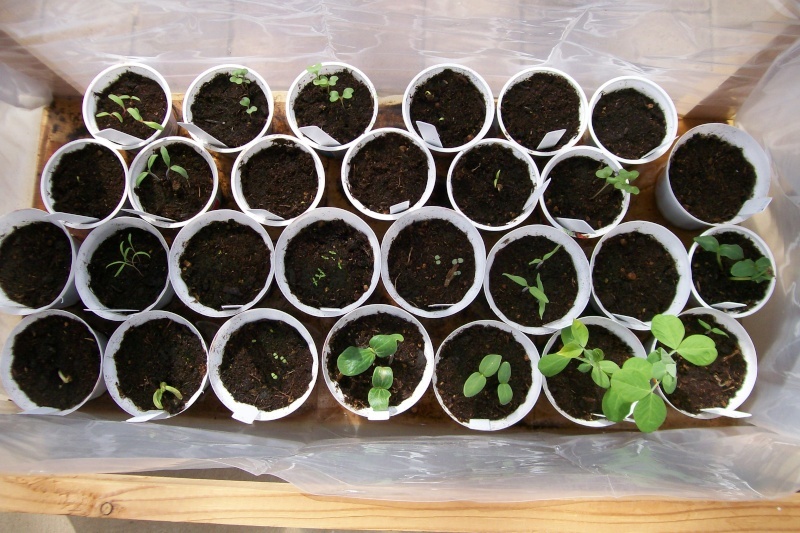 I usually start my seeds in trays and then transplant seedlings into cell packs or recycled cups. 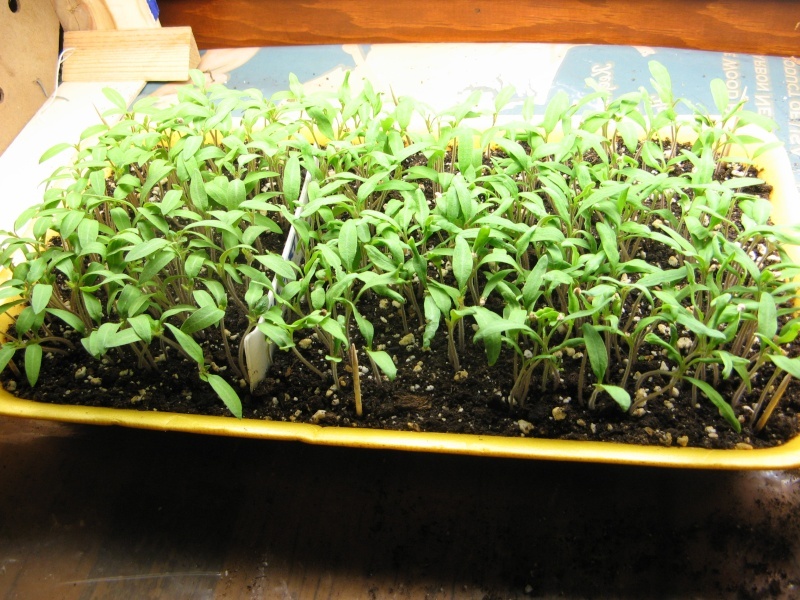 in the last photo, L to R, a tray of tomato seedlings, transplanted basil seedlings, transplanted tomato seedlings.